$100 Dollar Deposit no longer required to use a V Bike. I just got an email from Mayor Athas regarding V Bikes. In a previous post I wrote that a $100 deposit was required. Apparently this is outdated information. This was true at first, but the business model has changed. Now a $100 deposit to rent a V Bike is no longer required. Now the account holder puts $5 or more in a wallet to draw against. I'm sure the original deposit was a barrier to some so this should allow more access. Thank you Mayor Athas for paying close attention to what people are saying about Garland and making corrections where needed. I appreciate you and I'm sure that V Bikes does as well. Sometime over the next month Charlie and I will try V Bikes for sure. V Bikes is a local Garland Company. Their business model is simple: Using your cell phone you set up an account with V Bikes, put as little as $5 in a wallet, and download the V Bikes App. 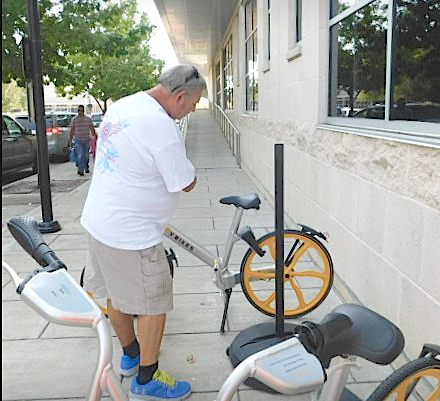 VBikes is an app-based, station-free bike-sharing service based in Garland. To use a bike, an app user simply waves a phone over a bike's smart lock and pays one dollar per hour, with a limit of 10 hours per day. After a ride, the app shows the trip's duration, distance, calories burned and carbon footprint saved. For more information about this great Garland innovation for transportation, visit VBikes website. 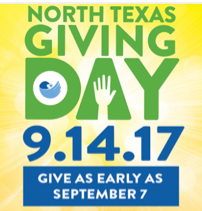 Please remember Loving Garland Green on North Texas Giving Day. We are huge supporters of our community and its people. 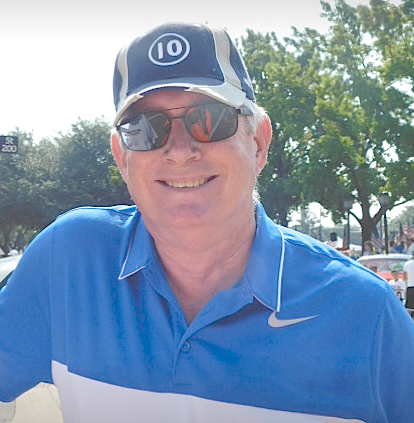 Beginning September 7, simply go to Loving Garland Green's information site at North Texas Day of Giving and you can schedule your donation for Loving Garland Green.